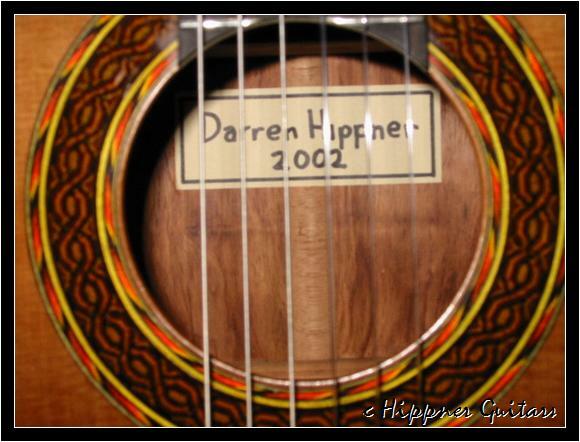 Hippner considers the skills of the masters to be without equal, and pays tribute in endeavoring to capture the essence of their great work. 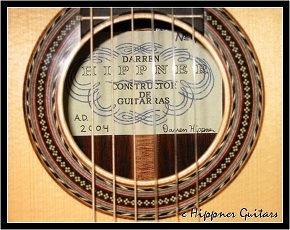 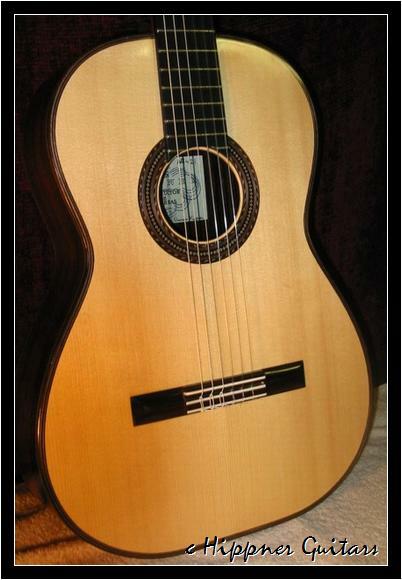 BASED ON SEGOVIA’S 1937 GUITAR. 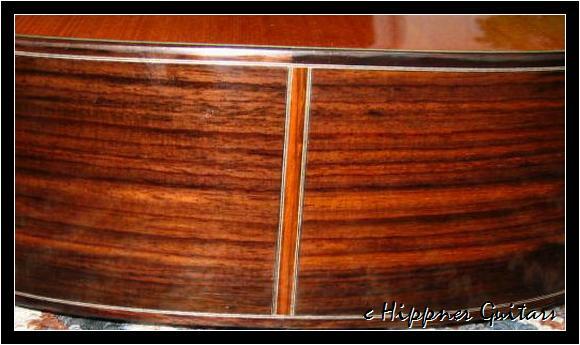 CHARACTERIZED BY A BROAD, COLORFUL TONAL PALLET. 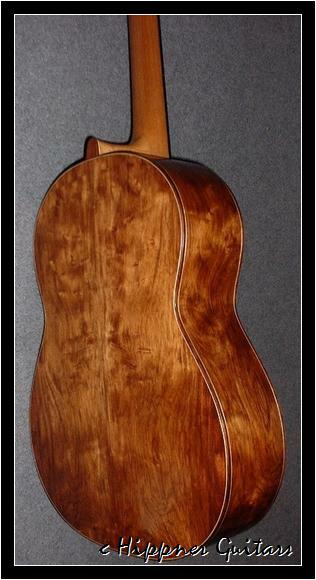 WESTERN RED CEDAR TOP AND ROSEWOOD BACK AND SIDES. 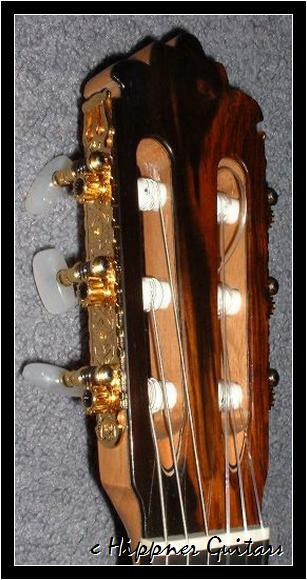 COMBINES PAPER-THIN LATTICE-BRACED TOP FOR OPTIMUM RESPONSE AND VOLUME. 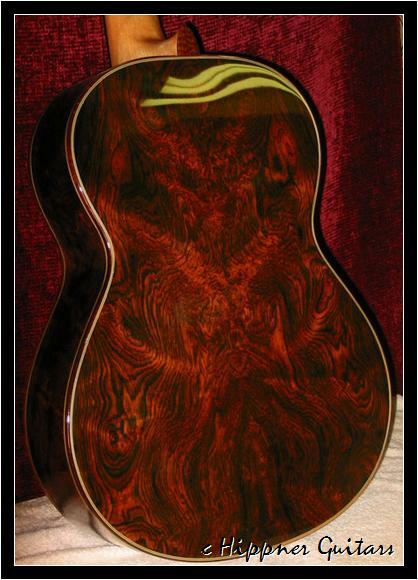 RED CEDAR OR ENGELMANN SPRUCE TOP AND INDIAN ROSEWOOD BACK AND SIDES. 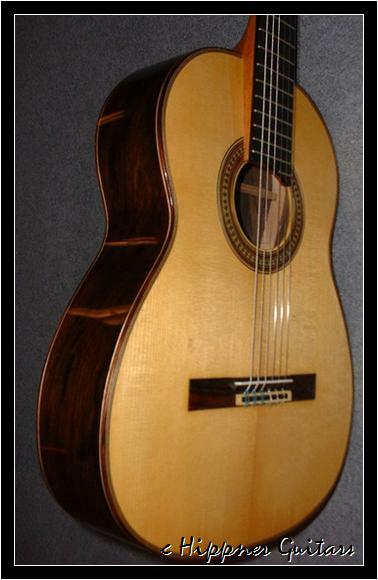 LARGE, ROBUST INSTRUMENT FOR QUALITY AND VOLUME THROUGHOUT THE TONAL SPECTRUM. 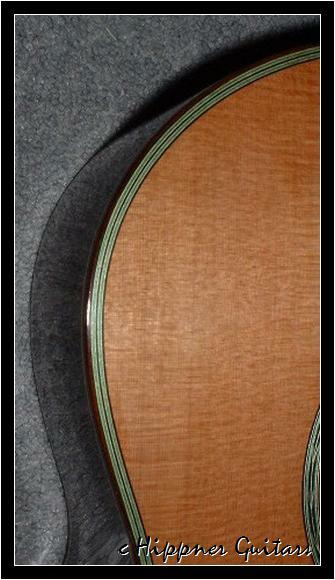 RED CEDAR OR ENGELMANN SPRUCE TOP AND EAST INDIAN BACK AND SIDES. 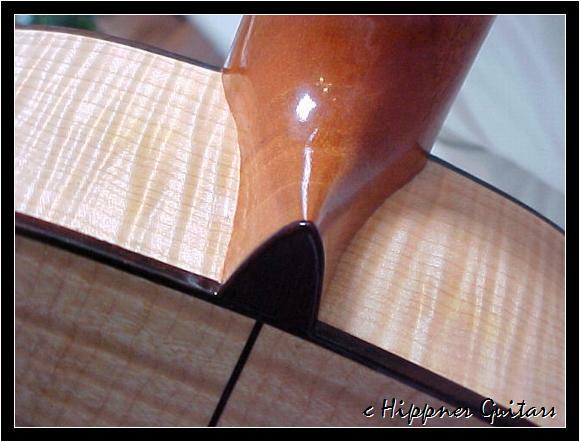 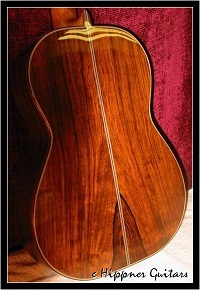 DEEP-BODIED GUITAR LIGHTLY BRACED FOR OPTIMAL VOLUME AND PROJECTION. 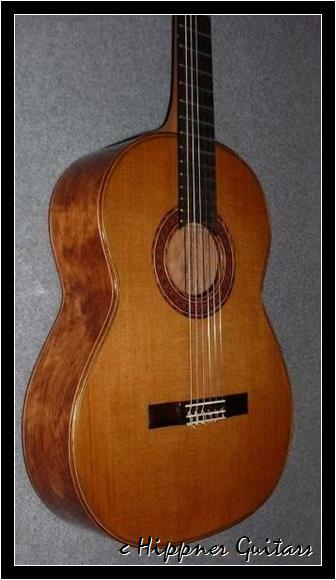 GREAT FOR THE CONCERT HALL. 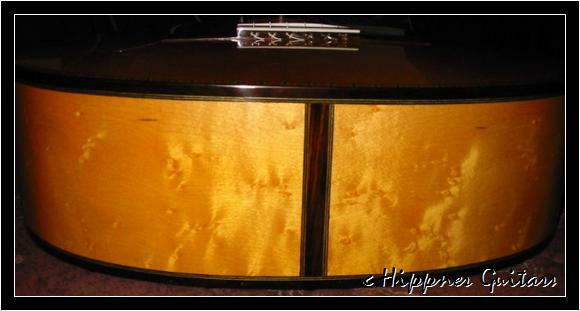 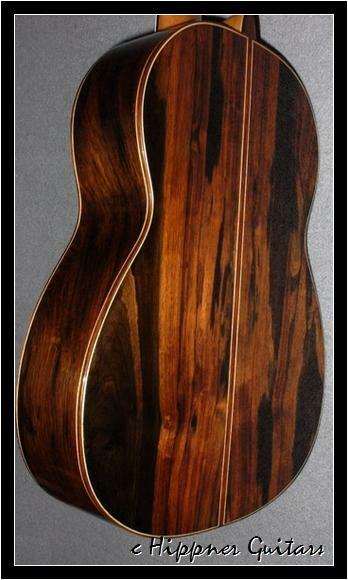 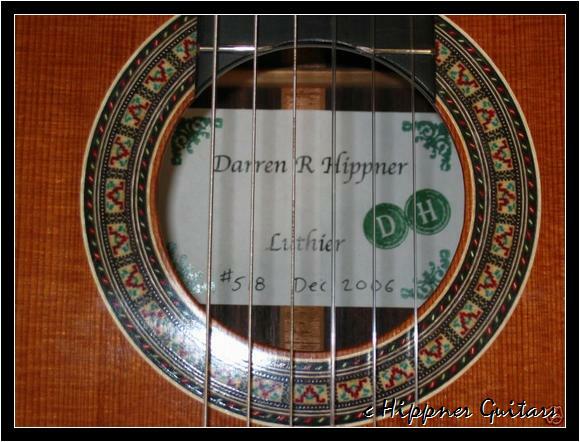 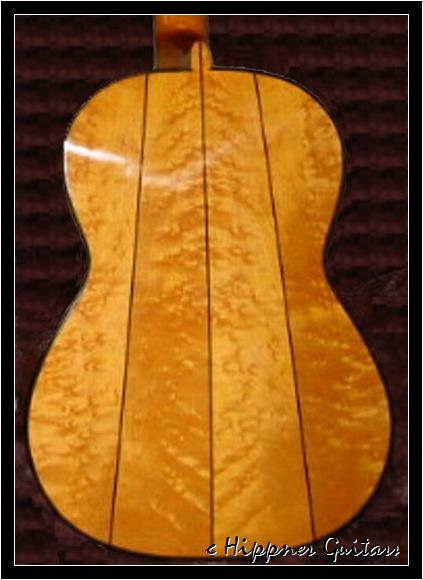 EUROPEAN OR GERMAN SPRUCE TOP AND BRAZILIAN ROSEWOOD OR MAPLE BACK AND SIDES. 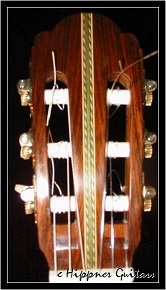 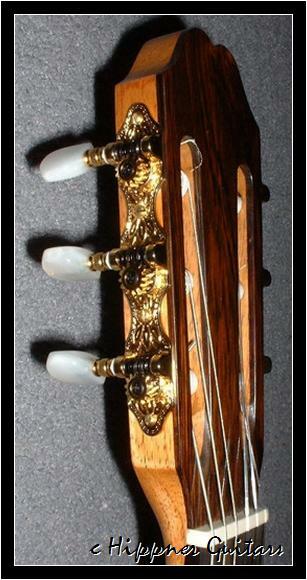 VERY LIGHTLY BUILT INSTRUMENT FOR THE PLAYER LOOKING FOR CHARM AND INTIMACY OF TONE. 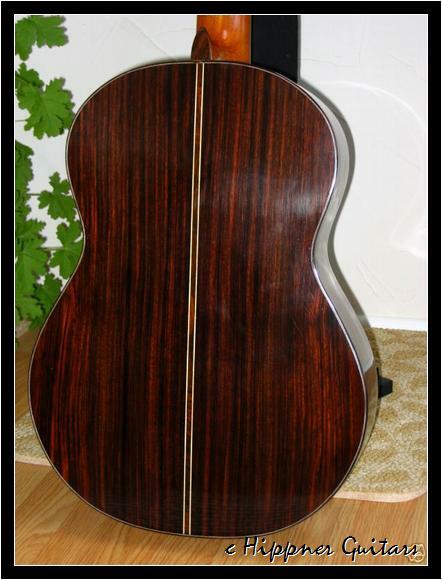 EUROPEAN SPRUCE TOP AND ROSEWOOD BACK AND SIDES. 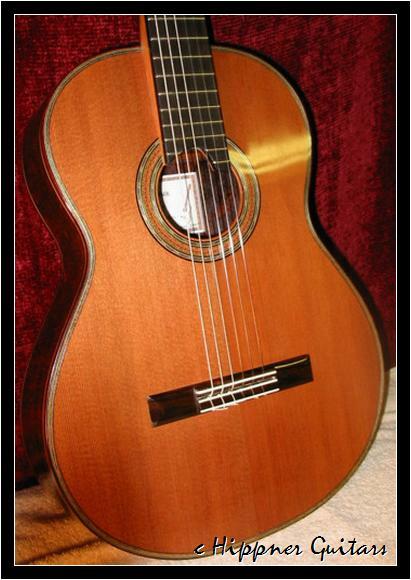 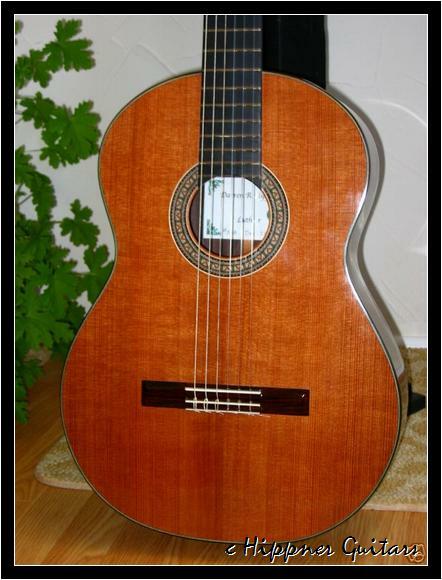 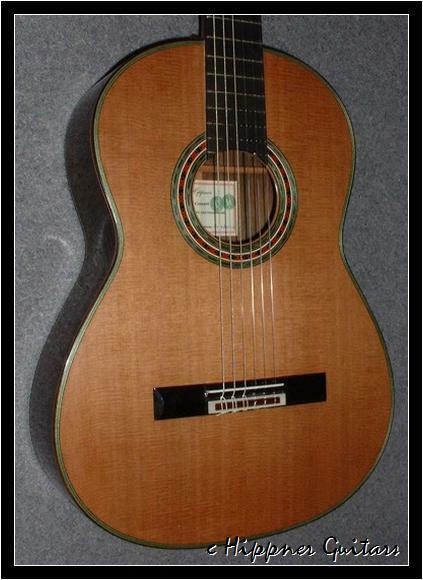 LARGE-BODIED GUITAR WITH SUPERB RANGE OF TONAL COLORS AND CLARITY. 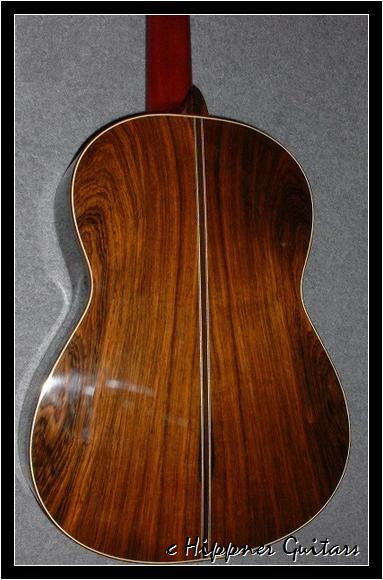 EUROPEAN SPRUCE TOP AND ROSEWOOD BACK AND SIDES. 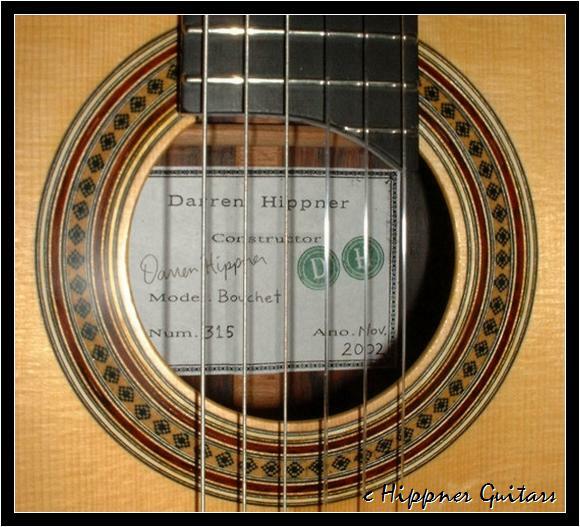 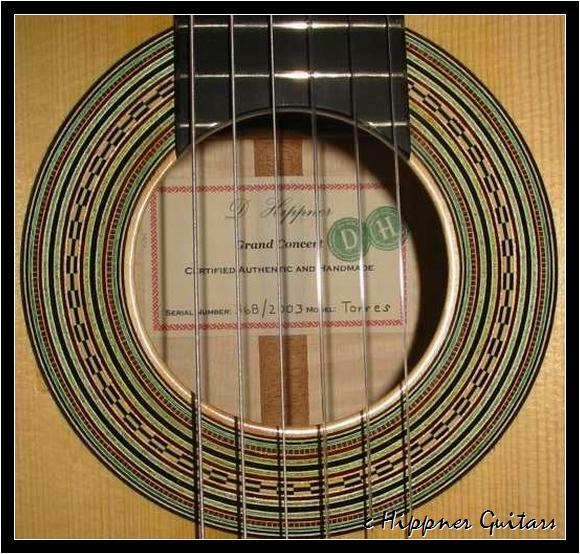 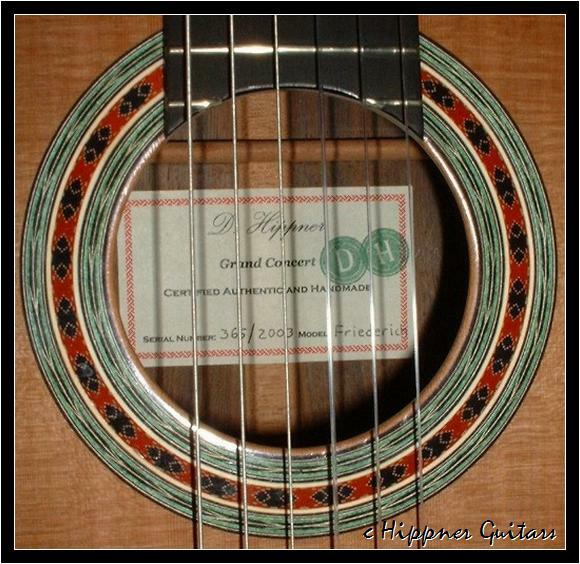 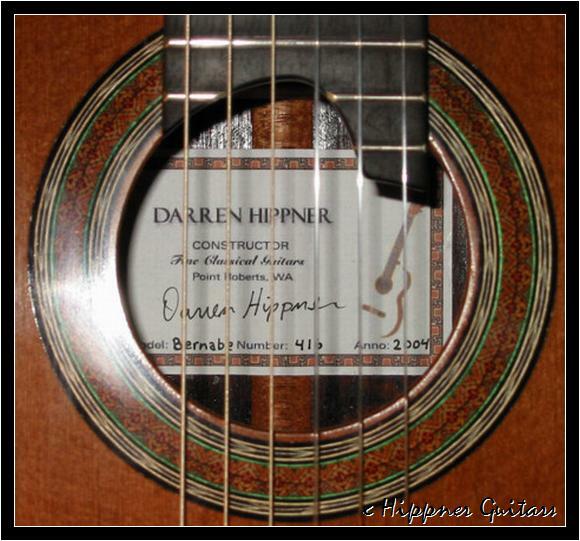 POWERFUL CONCERT GUITAR WITH GREAT CLARITY THROUGHOUT THE REGISTER.